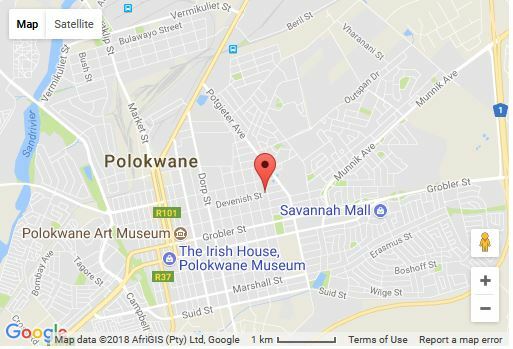 You will enter Polokwane in Grobler Street. Drive right through town until you reach OOST Street. You will see our brown tourist sign on your left. Turn left into OOST Street. Drive two blocks. We are on the corner of OOST and DEVENISH Street. You will enter Polokwane in Thabo Mbeki Street. Drive until you pass Capricorn High School. You will see our brown tourist sign on your left. Turn Right into OOST Street. Drive three blocks. We are on the corner of OOST and DEVENISH Street. You will enter Polokwane on the N1 from Makhado. When you have crossed the railway bridge, turn left into Potgieter Street. Turn right into Devenish Street. We are on the next corner of OOST and DEVENISH Street.